(BPT) - Spring is here! This season of new beginnings also marks the start of the year’s busiest real estate period. According to the Federal Home Loan Mortgage Corporation, the housing market in 2016 is set to be quite active with a 3 percent increase in total home sales compared to the previous year. If you’re planning to enter the housing market this year, buying or selling a home is a big decision and you can count on plenty of competition. To ensure you make the correct home buying or selling decisions, it’s important to do your research and arm yourself with valuable information. For both home buyers and sellers, AHS recommends preparing for what will happen vs. what might happen. A home warranty not only helps protect a home's systems while it’s on the market, but also helps provide buyers with additional confidence in their purchase. For an already financially stretched homebuyer, it’s important to know that a home warranty covers what homeowners insurance doesn’t – the repair/replacement of home system appliances. 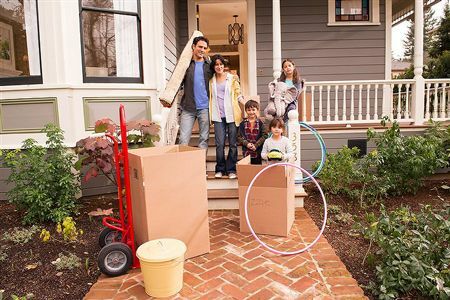 To help you make the most of the spring home season American Home Shield offers these tips. Buyers: do your homework. Narrow your home search to particular areas and neighborhoods that appeal to you with regard to housing prices, school districts and work commuting times. Determine your budget and stick to it. Familiarize yourself with the real estate market and your rights as a homebuyer. Know your credit score and take steps to improve it, if necessary. American Home Shield is the nation’s largest home warranty company, servicing homes for over 45 years offers tips to arm and has a trustworthy network of over 3,000 contractors. For more information and helpful home buying and selling tips from American Home Shield, visit www.ahs.com or the Home Matters Blog and YouTube Channel, which have hundreds of maintenance tips, videos and content for homeowners to help protect homes from the inside out.